Below you can view all the homes for sale in the East Lake subdivision located in Decatur Georgia. Listings in East Lake are updated daily from data we receive from the Atlanta multiple listing service. To learn more about any of these homes or to receive custom notifications when a new property is listed for sale in East Lake, give us a call at 404-998-4097. Fully Renovated Interior With Modern Sleek Finishes, Open Floor Plan, Attached Two-Car Garage, Hardwoods Throughout, All New Stainless-Steel Appliances, New Lighting Fixtures And Sparkling Bathrooms. MLS#6538855. Keller Williams Realty Metro Atl. Conveniently Located Near Downtown Decatur, East Lake, Downtown Atlanta, The Atlanta Beltline Trail, Ponce City Market & Much More! MLS#6535571. Coldwell Banker Residential Brokerage. You Can Stroll Over To Lake Buena Vista, Close To Kirkwood, Oakhurst & East Atlanta Village! MLS#6534023. Bailey & Hunter, Llc.. Relax On Rocking Chair Front Porch Or Rear Deck Overlooking Private Backyard. MLS#6530879. Bailey & Hunter, Llc..
Don'T Miss This Great Opportunity With Unbelievable Potential! MLS#6529981. Re/Max Legends. 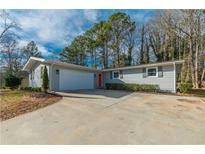 Visit This Decatur/East Lake Area Gem Today, And Make It Yours;) MLS#6527428. Keller Williams Realty Atl Perimeter. Close To East Lake Golf Course And Buena Vista Lake! ! MLS#6526288. Keller Williams Realty Atl Part. Minutes To Beltline, Downtown Atlanta, Downtown Decatur And Emory University. This Is A Must See! ! MLS#6523364. Palmerhouse Properties. All Of The Extras Make This House A Home! Kitchen Appliances, Washer, & Dryer Included. MLS#6517299. Metes And Bounds Realty, Llc.. Enjoy Upstairs Loft ,2 Generous Secondary Bedrooms, Oversized, Large Laundry Room W/Utility Sink, Master Suite W/ Designer Tile & Soaker Tub. Stop By Today! MLS#6516858. Re/Max Premier. Deck Overlooking Private Fenced Backyard! Don'T Miss This One! MLS#6124071. Drake Realty Of Ga, Inc..
Large Yard With New Spacious Deck Off The Back. Home Warranty In Place! 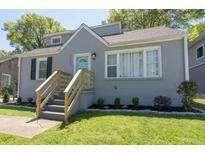 MLS#6507100. Engel & Volkers Atlanta. 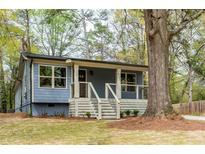 Fantastic Area With Newer Construction Homes On The Street, Walk To Delano Park, Close To Downtown Decatur, I-285, Downtown Atl, Don'T Miss MLS#6503519. Solid Source Realty Ga, Llc.. Basement Space For Man-Cave, Storage Or Game/Media Room. Welcome Home! MLS#6503064. Keller Williams Realty Cityside. Don'T Miss The Opportunity To Invest In This Hot Area! MLS#6106302. Bhgre Metro Brokers.